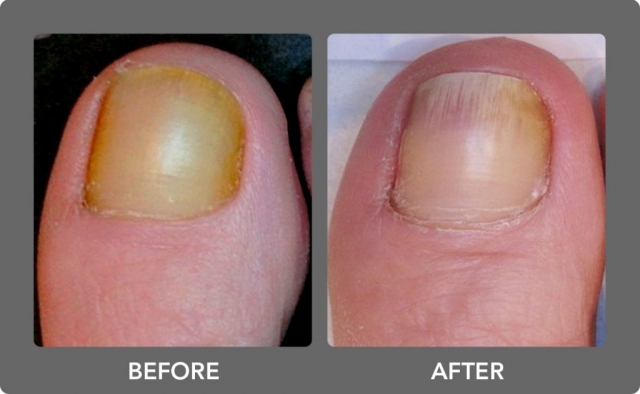 Have your toe nails become yellow, discolored, crumbly and thick? Embarrassed to show your toes in public? Are you avoiding certain footwear so you can hide your toes? 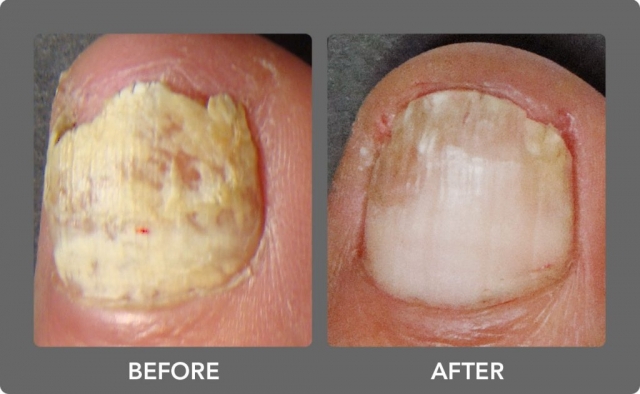 You may be suffering from a Fungal nail infection. You are not alone. 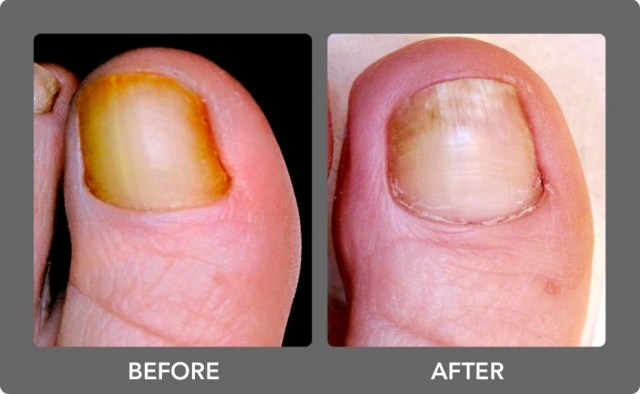 As many as 10% or over three million Canadians have toenail fungus. It is highly contagious and fungal infections can be passed between family members if left untreated. 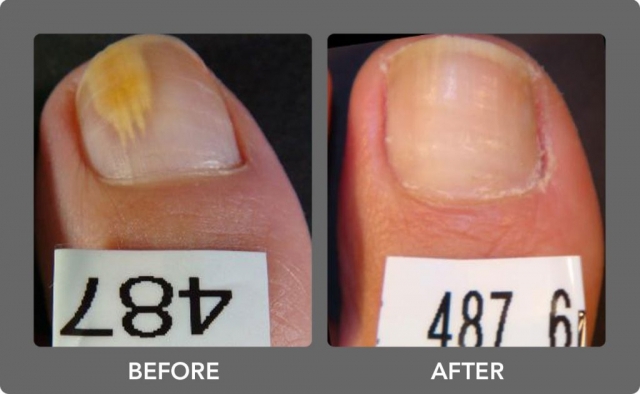 The cause of fungal infections are infecting organisms most often dermatophytes, which feed on the nail protein (keratin) initially causing unsightly discoloration. The infection spreads gradually in warm dark, moist enviroments, such as in your shoes. 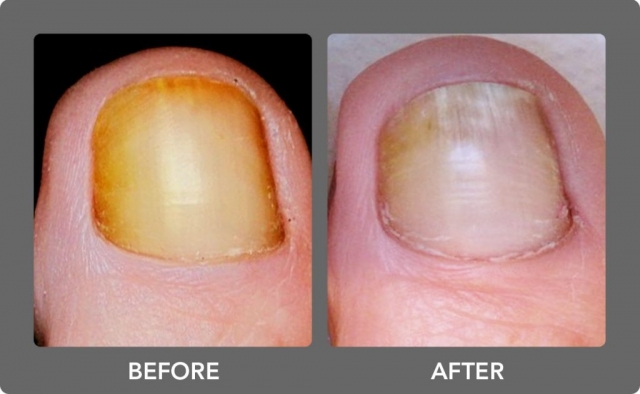 Infected nails initially begin with yellowing or white spots on the nails. The large toenail is usually the first to be effected. 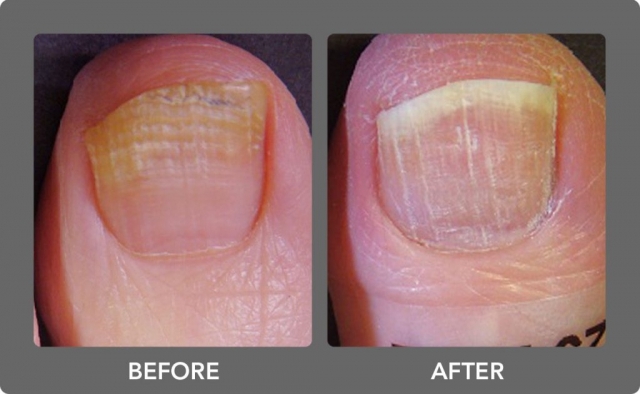 As the infection develops, toenails often become thicker, further discolor, fracture and crumble. 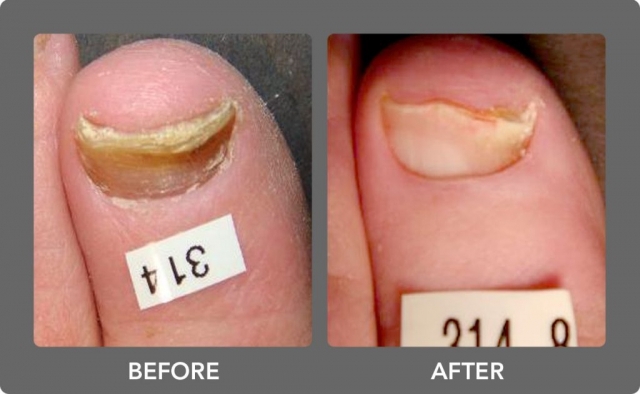 Progressive infection of other toenails occurs often, secondary bacterial infections are not uncommon, and psycho social issues. 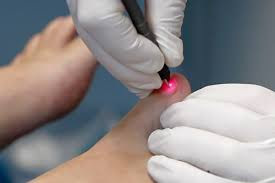 Laser treatment is the newest technology to provide safe effective treatment in eliminating nail infection and restoring clear nail with as little as one treatment, with no adverse side effects! 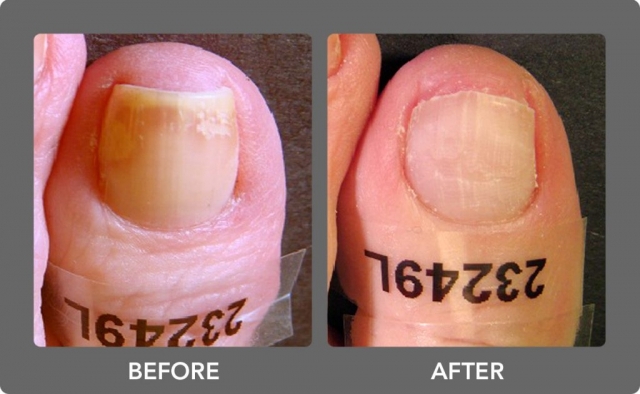 The laser beam, without the need of anesthetic, is passed over the entire nail plate, to gently heat the nail bed clearing it of fungi. This photo-thermal effect changes the fungi cellular metabolism and at increased temperatures cell components are damaged and metabolism is altered. Lipids in the cell membrane are changed in structure, compromising their function of protecting and regulating the internal enviroment. The outcome is fungal death and nail clearance. Individual Results May Vary. Actual photos before Nail laser treatment and after 6 months. 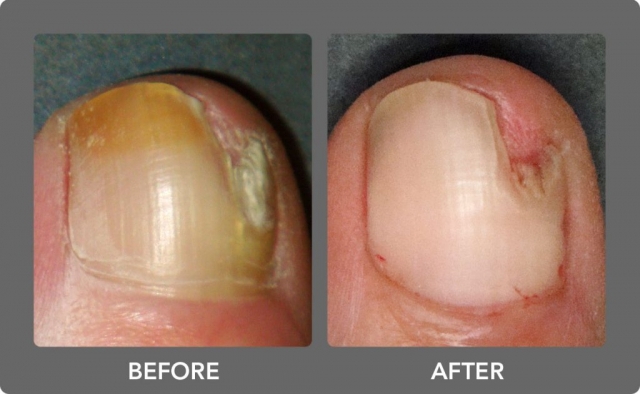 Photos courtesy of Nuvolase Inc.
Can be Effective in eliminating nail infections and restoring clear nails. Cannot be used for all patients. In most patients, the drug is ineffective because it cannot pass through the nail to reach the infection. 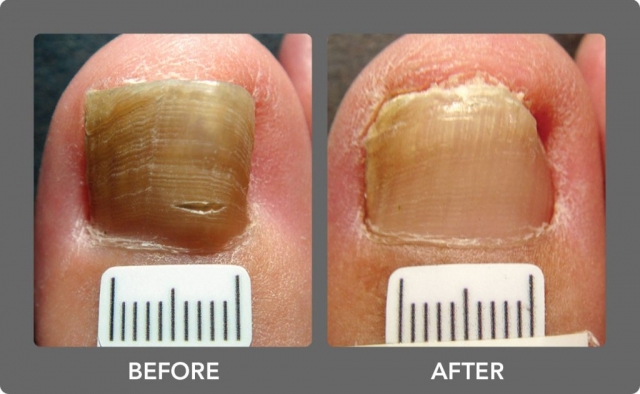 Permanent toenail removal is another possible form of treatment for a tenacious fungal nail. 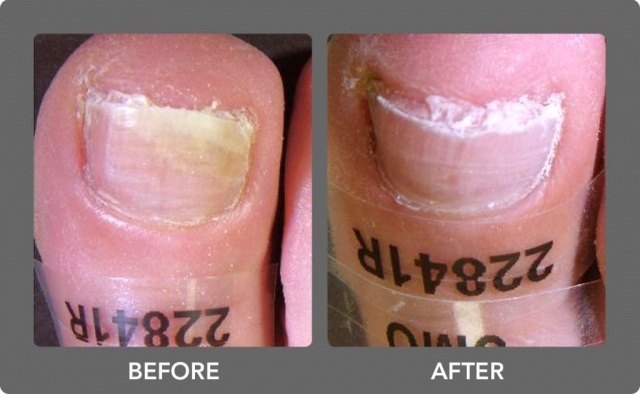 Depending on the severity of the nail infection, some patients require a second session. 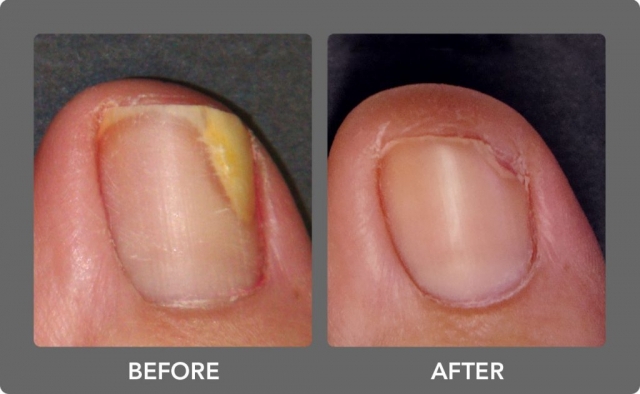 Although the infection is treated by the laser, improvement in the nail appearance is seen as the nail grows out, which takes between 4 - 8 months. 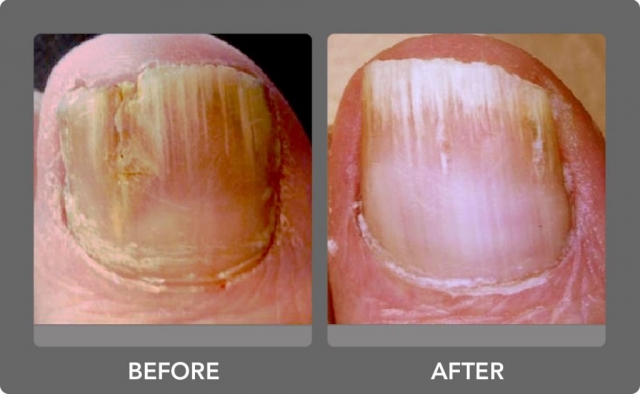 The amount of nail improvement you may experience is dependent upon your individual circumstances and should be discussed with the Chiropodist. 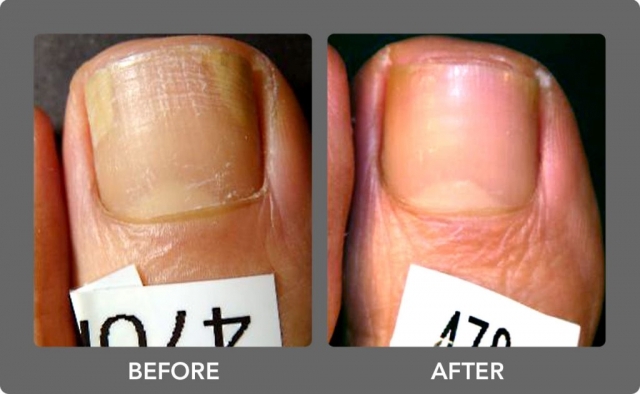 A International Clinical study of 262 patients showed that after 6 months 71% of patients and at 1 year 81.5% of patients experienced sustained improvement in new, clear nail growth. 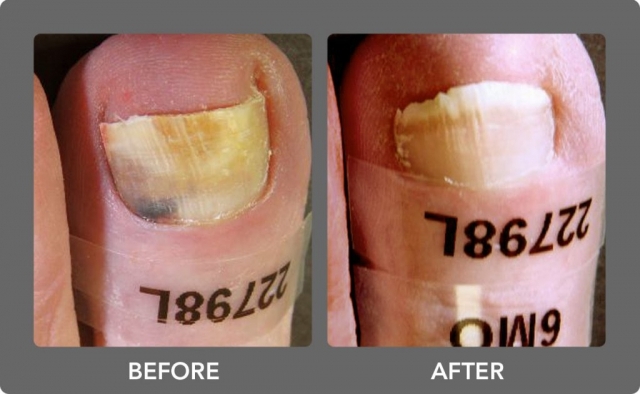 After a fungal toenail infection has cleared up it is important to take steps to prevent the infection from recurring. 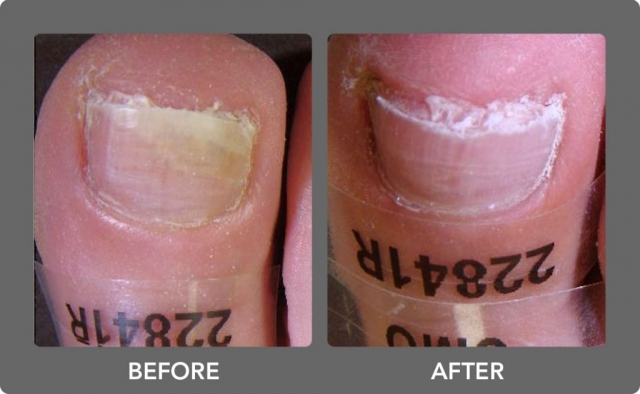 Keeping fungi at bay will help prevent a fungal infection of the skin from reinfecting the nail. Before bed, thoroughly wash and dry your feet, and apply a anti-fungal cream. Use the cream every night, then gradually apply it less often. Keep your feet dry. Dry feet are less likely to become infected. . Try not to injure your nail, such as by cutting it too short . Wear dry shoes to allow circulation. 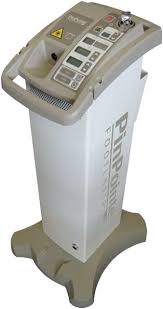 Avoid pedicure shops where often infections are transmitted. By following these basic foot care guidelines more often, you can head off most common foot fungus problems. 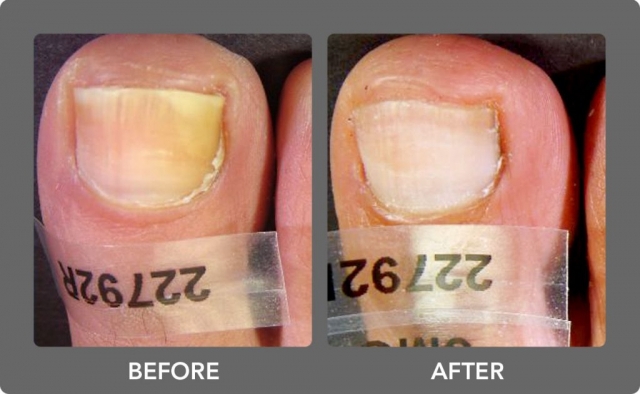 We at The Family Foot Clinic, Vaughan are determined to help treat your nail fungus by offering you a state of the art, proven, safe and effective treatment option. 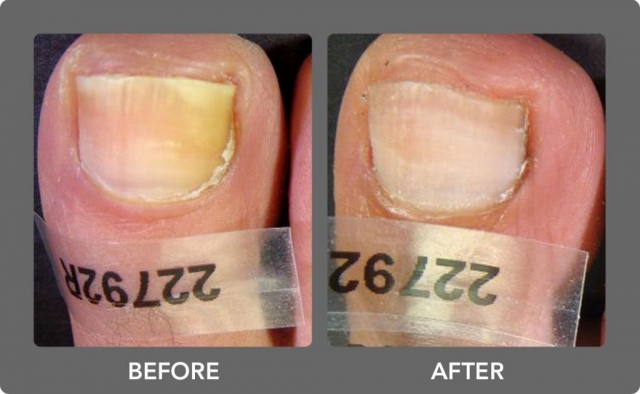 Laser treatment may be the solution you have been looking for to treat your fungal nails. Feel free to call us anytime if you have any questions or if you are curious to learn more about this new technology!